Last week I picked up a new read by British “cultural thinker”, philosopher, and founding member of The School of Life, Roman Krznaric, entitled “How to Find Fulfilling Work”. 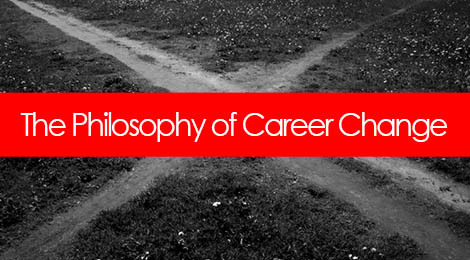 While I myself aren’t looking for [more] fulfilling work, I do find it interesting to weigh the different schools of thought and opinion around the topics of career change, job satisfaction, and work-life balance. Initially, I thought it would be a bunch of regurgitated you-know-what that we’ve seen time and again on every media platform from Life Hacker to the New York Times. But in fact, it’s really a fantastic read with some thought-provoking points around how we view work in the modern economy, and the role it plays in our lives. He spends a lot of time talking about case studies and research showing that a big piece of career satisfaction comes from “doing good work”. However, it’s not always that simple and straightforward when it comes to “doing something you love”, as tensions can arise between making a difference, and making money. We all want a job with meaning, one that’s a challenge and reflects our values, but that also provides a means to making a living. So ask yourself: Where do your talents intersect with the needs of the world? “Our working identity is not a hidden treasure waiting to be discovered at the very core of our being – rather, it is made up of many possibilities… we are many selves,” says Herminia Ibarra, one of the world’s leading academic thinkers on career change. Many of us, particularly when we’re in-between jobs or contemplating a career change, are searching for that one “perfect fit” of a career, and often spends heaps of money and time enlisting professional resources to help us find it. But what Krznaric explains is that it’s not about finding the one right path, but rather, being open to the idea that we have complex, multi-faceted experiences, interests, values, and talents, and that might mean that we could find fulfillment in multiple careers. The biggest mistake people make when trying to change careers is delaying the first step until they’ve settled on a destination – it’s the “analysis paralysis” effect. Instead, try one thing, and then try another. And another. And another. One woman in the book actually tried 30 different careers within 1 year, and came to the conclusion that she not only felt fulfilled by, but had talents applicable to many things. So imagine this: If you lived 5 other completely fulfilling lives, what might those look like in terms of the work you do? Leonard Da Vinci was an early example of what Krznaric refers to as a “Portfolio Worker”, or someone who pursues multiple careers simultaneously, perhaps on a part-time or freelance basis. I like to call it diversifying your income. The idea here is that engaging in several careers at the same time, while it does have it’s challenges, has become less stigmatized. And it can help us free ourselves from careers that have lost their appeal, explore other sides of who we are, and provide benefit in an age where the retirement age continues to shift. Our motivations and ambitions evolve throughout the course of our lives, and we can be poor judges of our future interests. Ask yourself: Are there other potential areas that, while I may be unclear whether or not they’re a true career path, I have a genuine desire to “test drive”? Although both money and status factor into career decisions to some degree, using these factors to drive our decisions rarely leads to fulfillment. And in fact, it’s the combination of doing intrinsically rewarding work, and using our talents in line with our passions that provides the most satisfaction. Ask yourself: What are the top 5 factors that determine your ability to feel completely fulfilled by a job or career path (and it IS okay if money is one of them – we all have priorities.)? Now I read a lot of career books, blogs, articles, and other resources, and in my opinion, Krznaric has put out there one of the better reads as far as articulately communicating not just what we’re experiencing collectively as a society where the whole idea of aligning our life’s work with our own personal satisfaction is still a relatively new notion, but WHY we stigmatize those feelings of unfulfillment, the history of how we’ve perceived work as a society, and why we allow our antiquated beliefs to continually drive us in the wrong direction. But even more powerfully, he addresses what we can actively be doing to change all that and to create a life and a career that suits our varying, and constantly evolving needs and interests. Curious to read more? You can buy or download the full book here. Tags: career, career change, transition, work life balance. Bookmark the permalink.